1. 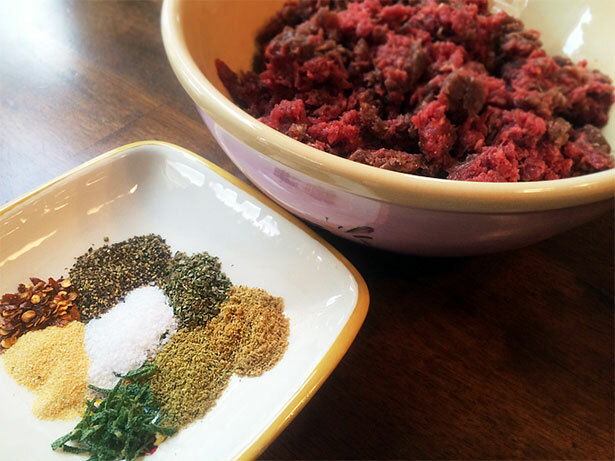 Combine all 8 spices above and mix into the ground elk burger. Cover and let sit for 30 minutes to an hour. 2. Heat a large skillet over medium heat and add 2 tablespoons butter. Add diced red onion and continue to cook until onion softens and begins to caramelize, about 20 minutes. Remove from heat and let cool. Add onions to ground elk and mix together. 3. Take a handful of ground elk meat and begin to form a large meatball that fits in the palm of your hand. 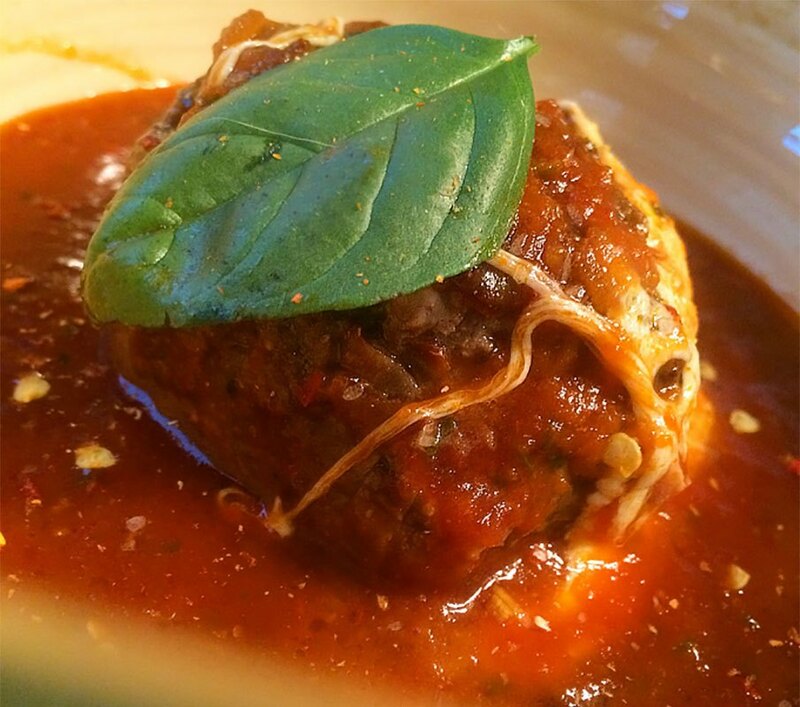 Add 1 Bocconcini to the center and continue to pack meat around the cheese until you have a nice sized meatball. Repeat until done. 4. Heat skillet over medium-high heat and add 1 tablespoon oil. Gently place each meatball into skillet and cook for about 5 minutes. Gently turn meatballs rotating every 5 minutes until browned, about 20 minutes. Add pasta sauce to skillet and bring to a simmer. Reduce heat and continue to cook for 10 minutes. 5. Serve elk meatballs in a bowl with pasta sauce and garnish with fresh grated cheese or serve over pasta with a fresh green salad. For more elk recipes, visit NevadaFoodies.com.